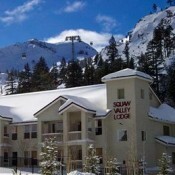 The lodging in Squaw Valley is centralized in two locations. 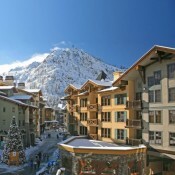 All lodging is first and foremost rated deluxe to luxury, but also located either slope-side (as in across the driveway from the base area) or the lodging is ski in/ski out. Regardless or your location selection, your accommodations have an abundant selection of restaurants and nightlife on-site, a five minute shuttle away, or within easy walking distance if you are staying at the base area.